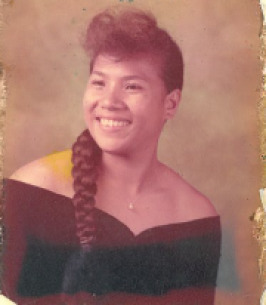 Margaret "Maggie" Fa'aagi Taufete'e, 53, passed away in Honolulu, Hawaii on November 2, 2018. She is survived by parents Reverend Elder Fa'aagi and Mrs. Sa'ofetalai Taufete'e, God son Kaleo Mamala Raposas, God daughter Margaret Lusitania-Losilosi Fonoti, brothers Ta'ataai (Ramona) & Matthew (Sharla), sisters Eileen "Valasi" Iuta (Talofa) & Sa'ofetalai Fonoti (Va'aimalae) also by numerous nieces and nephews. Funeral services will be held on Saturday December 1, 2018 at the Pacific Islanders United Methodist Church. Visitation is at : am Services at 12:00 pm. To send flowers to the family of Margaret Fa'aagi "Maggie" Taufete'e (Taufete'e), please visit our Heartfelt Sympathies Store.